Bike Philly, our annual bike ride through the city and surrounding neighborhoods, has been growing year to year. With our ridership increasing, we have outgrown our rest stop at Narberth Park. 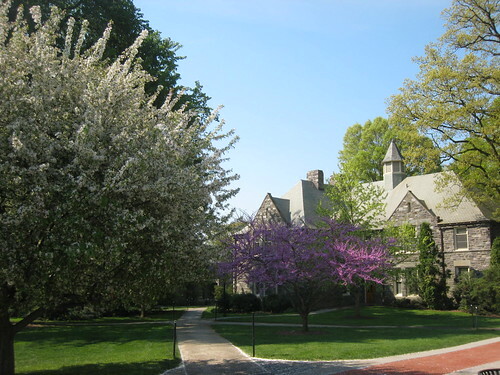 We are happy to announce that our new rest stop will be at Haverford College. What does this mean for the ride itself? It means that the 35 mile route, or specifically the 15 miles that were on shared roads has changed. This year's Bike Philly features a 40 mile route replacing past 35 and 50 mile routes. You will still ride on Latches Lane past the Barnes Foundation and Merion Station but the route will move south of the Main Line railroad tracks through the streets of Wynnewood and Ardmore and into Haverford Township to the rest stop at Haverford College. Remember shared roads mean that roads are open to vehicular traffic and the rules of the road apply. Once we finalize the route we will publish a detailed route map and link to the turn by turn directions in Google Maps. An appropriate stop, as this is where my friend, Russell Garrett, worked He was a professor at Haverford and was killed by a distracted driver on July 15th while riding to work.